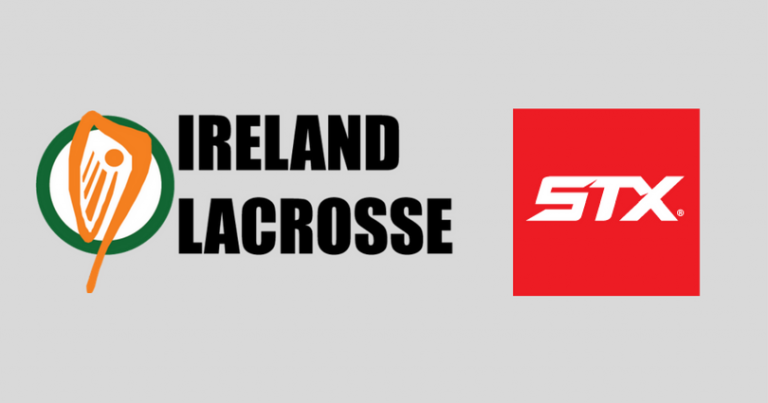 Dublin, Ireland – Ireland Lacrosse, the governing body of lacrosse in Ireland, announced today that it has signed a multi-year agreement with STX, LLC, to be the official equipment supplier of all the Men’s and Women’s National teams; Senior, U19 and Indoor (five teams total). Per an agreement through 2019, STX will provide Team Ireland members with heads, handles, gloves, protective gear, and helmets (excluding Indoor National teams). Ireland Lacrosse joins Team USA, Duke, UNC, Syracuse, John Hopkins, and numerous professional lacrosse players as STX partners. The Men’s U19 National team was the first Irish team to use STX equipment and protective gear, in the 2016 U19 World Championship where they finished 7th. The Women’s National team heads to England in July 2017 for the FIL Rathbone’s Women’s World Cup, and the Men’s Indoor National team will be in Finland, also in July 2017, for the inaugural European Indoor Lacrosse Championship, for their respective first outings outfitted by STX. As part of the announcement of this new arrangement, Ireland Lacrosse has produced LIMITED EDITION custom men’s Ireland and Éire helmets and gloves. To order, contact info@irelandlacrosse.ie. Heading to the US Lacrosse Convention in Baltimore in January 2017? Stop by our booth (#232) to learn more about Ireland Lacrosse and pick up the latest Ireland Lacrosse apparel. Hope to see you there! Ireland Lacrosse launches new Online Shop! When are tryouts for the 2018 nationals?